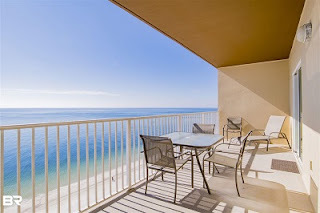 Gulf Shores AL beachfront condominium home for sale at Crystal Shores West. The views from the large balcony are amazing!! Beautifully decorated 2 bedrooms/2 baths with many updates bringing it close to new! Beautiful new flooring throughout the unit give it a light and airy feel. Other updates include: new AC 2 yrs ago, new LR furniture, paint and lighting 1 yr ago and new water heater, TV's and mattresses in the last 9 mos. and more....this is move in ready or, for the investor, it is rent ready!! The post Crystal Shores West Condominium For Sale in Gulf Shores appeared first on Beach Traveler.